Be the star! 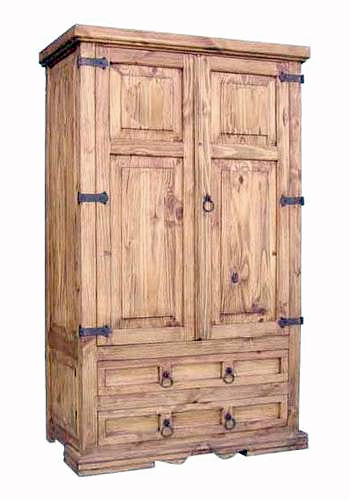 Beautiful star engraved armoire with doors that extend all the way back for better TV viewing. 2 drawers on the bottom are perfect for storage of DVD's and magazines. Beautiful iron hinges and drawer pulls add character and make this piece a beautiful complement to your rustic or hacienda decor. If, like so many customers, you are partial to this look, just ask. 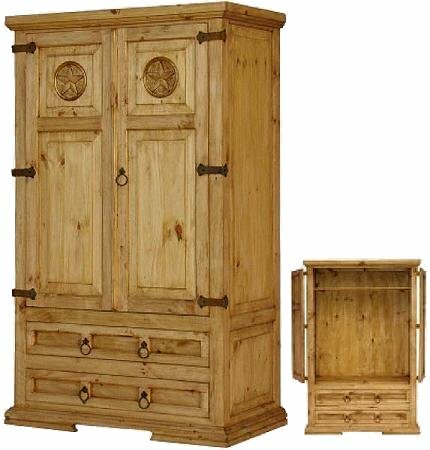 We can customize other bedroom and dining room pieces to match. Contact us for alternative distressed, colored and multi-colored finishes.